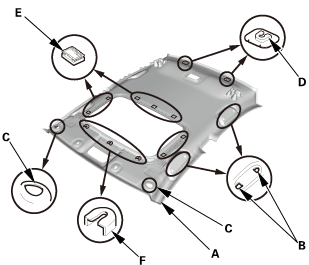 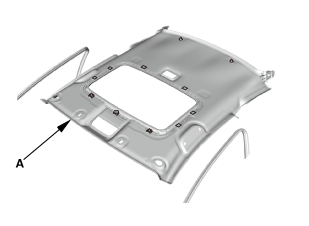 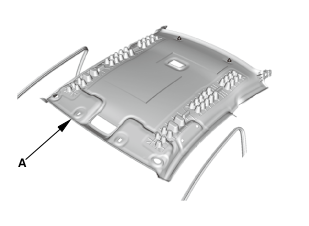 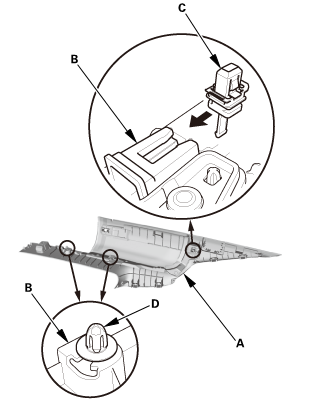 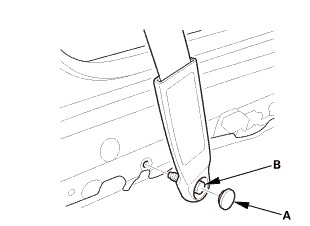 If replacing the side curtain airbag after deployment, refer to Component Removal, Installation, and Inspection After Deployment for a complete list of other parts that must also be replaced. 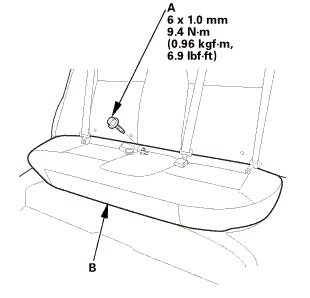 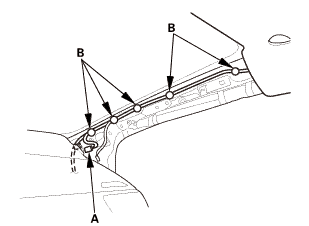 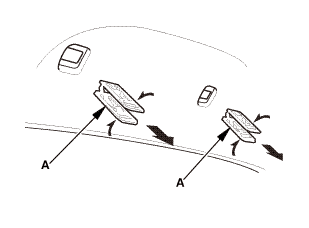 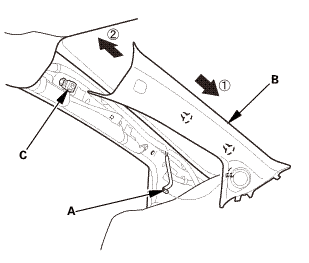 Removal of the side curtain airbag must be done according to Precaution and Procedures. 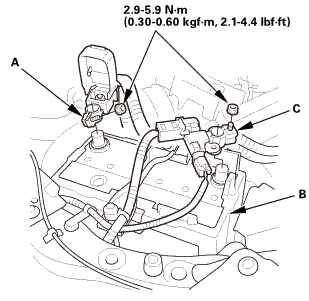 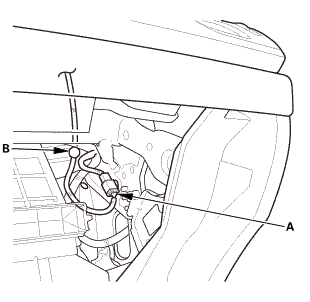 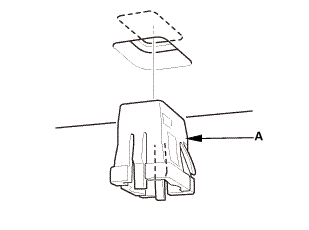 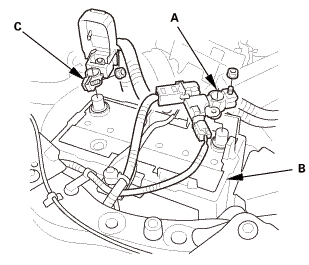 Disconnect the side curtain airbag inflator connector (A) on the floor wire harness. 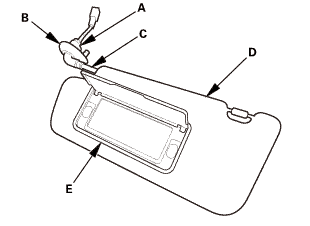 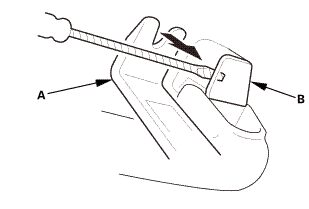 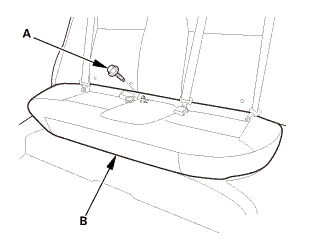 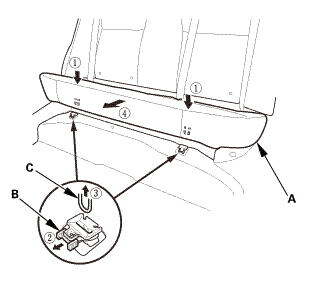 Remove the side curtain airbag (A). 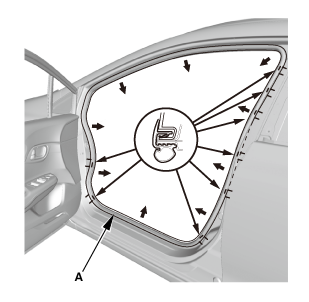 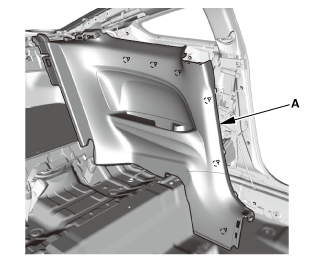 Installation of the side curtain airbag must be done according to precautions and procedures. 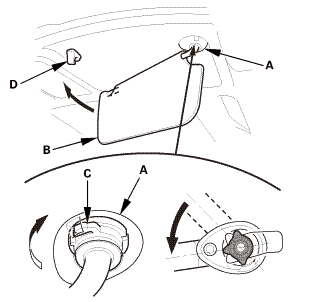 If the side curtain airbag is frayed, or has any other visible damage, replace it. 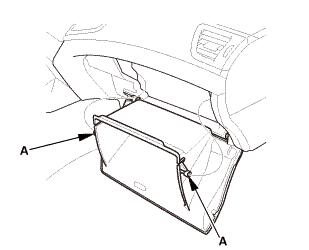 Do not attempt to repair an airbag. 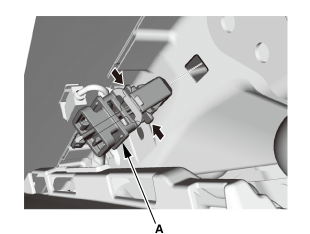 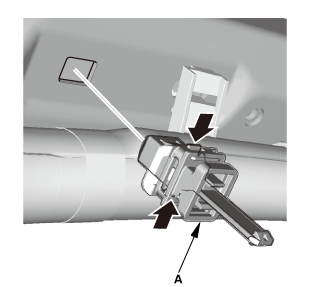 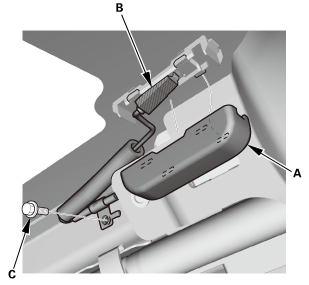 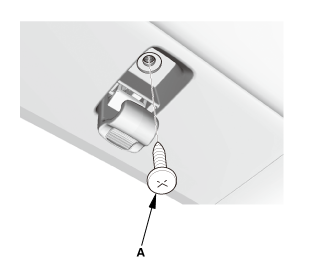 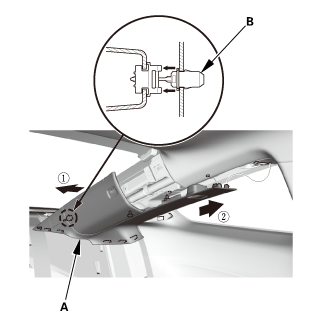 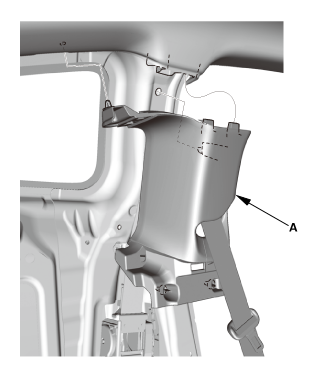 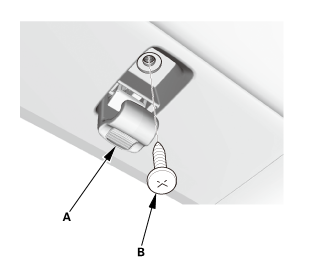 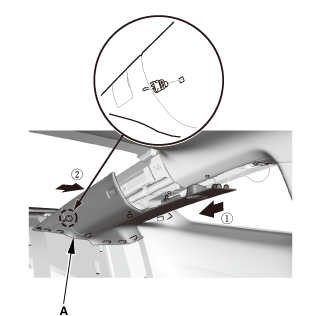 When you install the side curtain airbag, make sure it is not twisted, and that it is not caught between the inflator bracket by the bracket bolts. 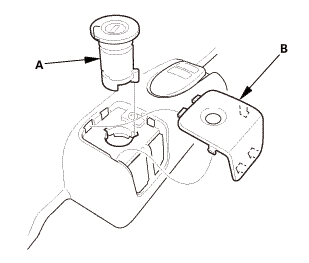 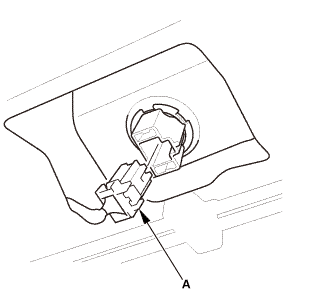 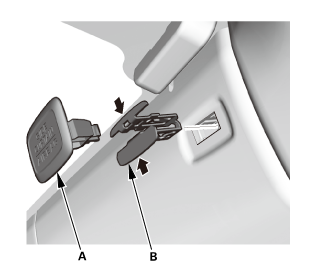 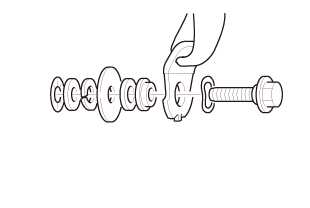 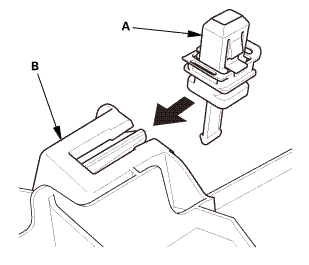 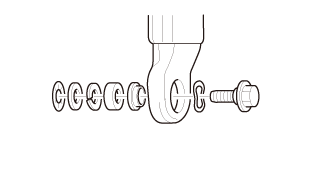 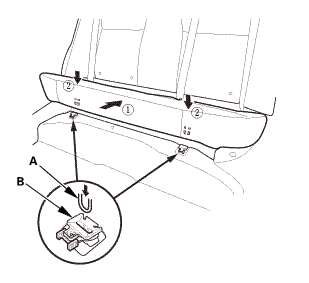 Make sure that the side curtain airbag inflator retainer is installed properly. 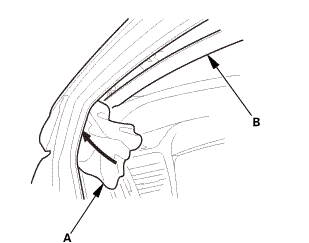 Otherwise the side curtain airbag could incorrectly deploy and cause damage or injuries. If there is any damage to the side curtain airbag, do not try to repair it. 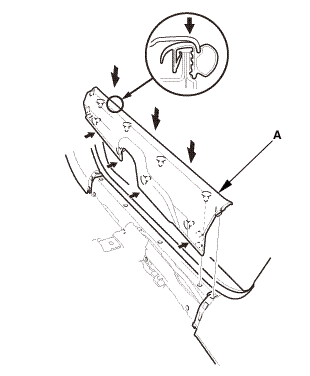 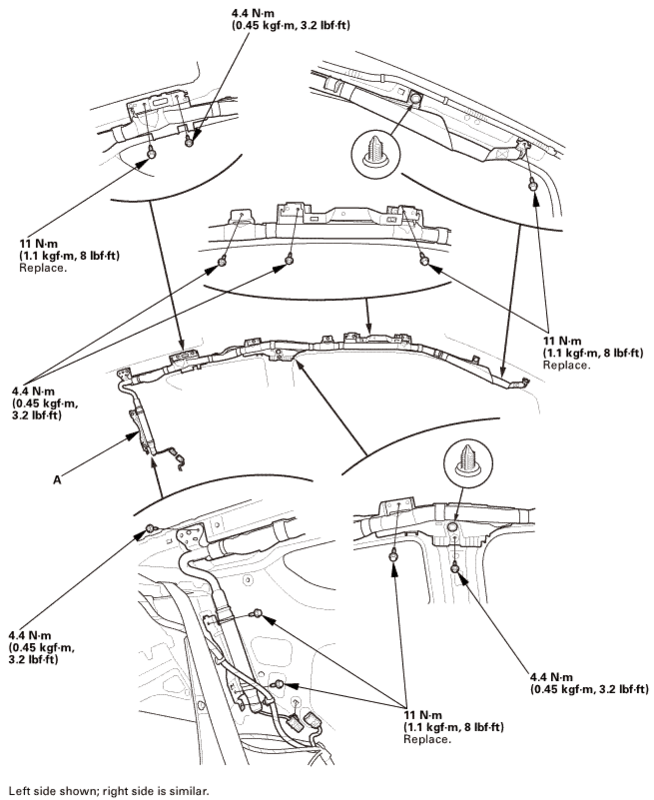 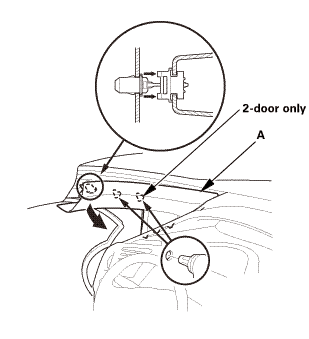 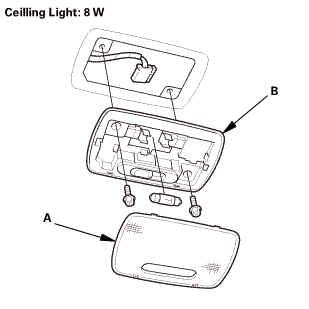 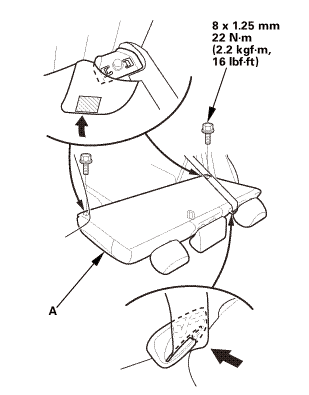 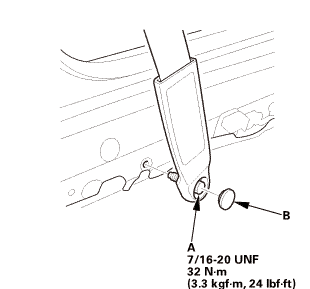 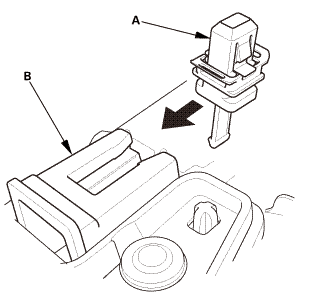 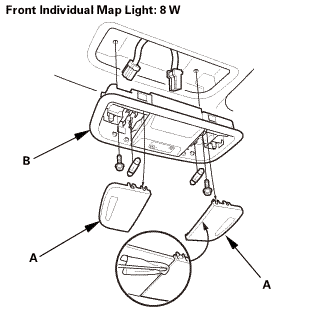 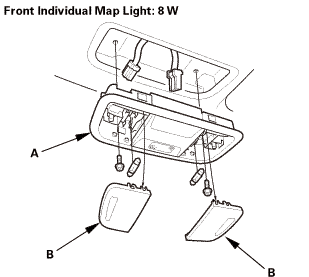 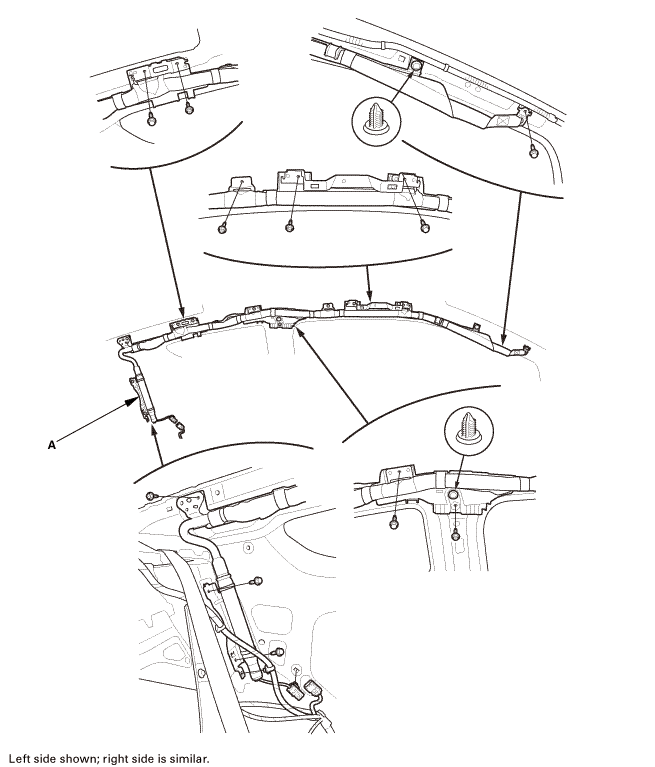 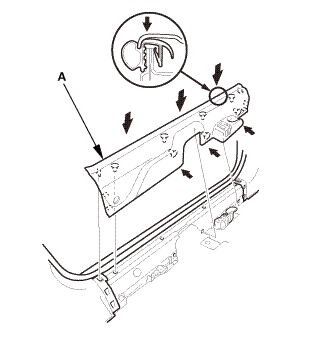 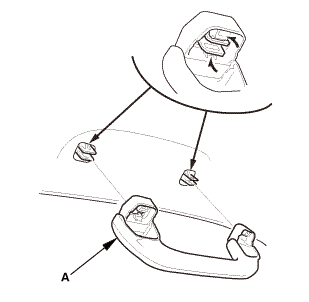 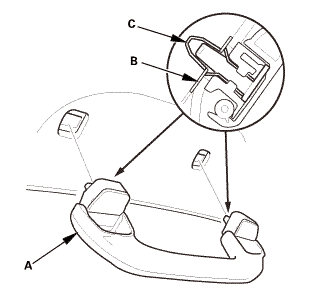 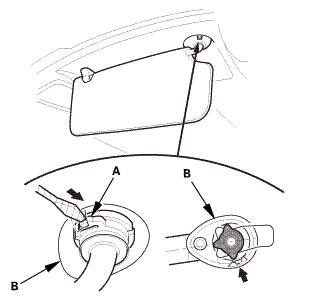 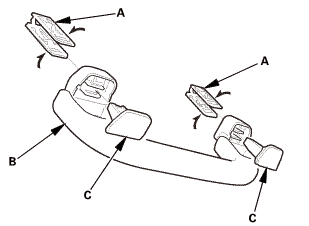 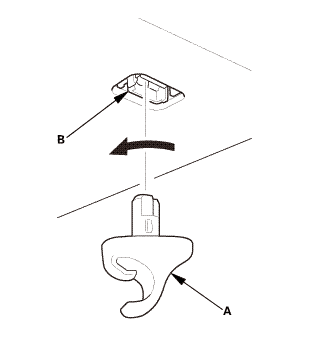 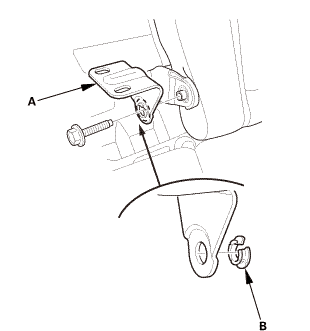 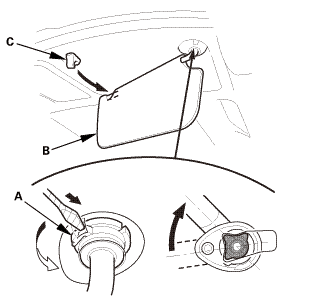 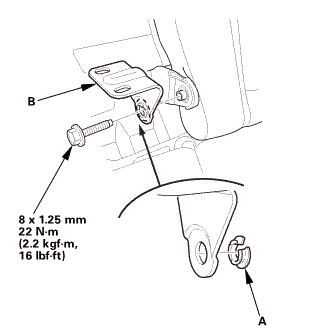 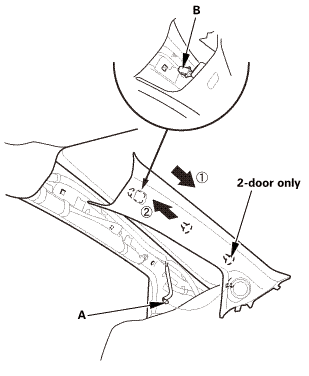 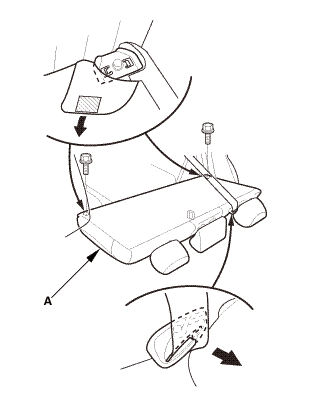 Replace any damaged side curtain airbag. 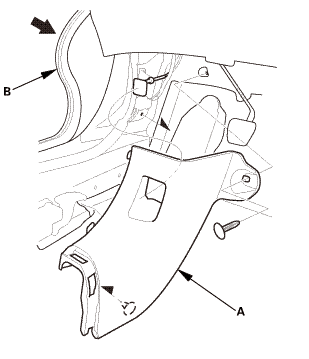 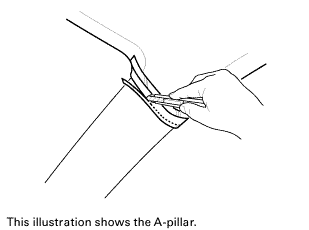 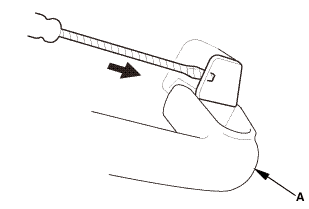 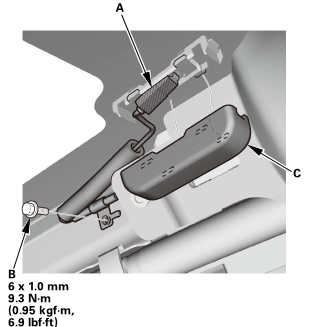 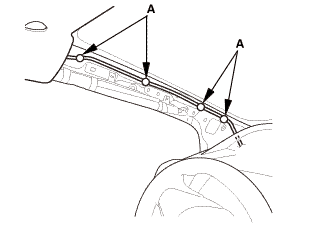 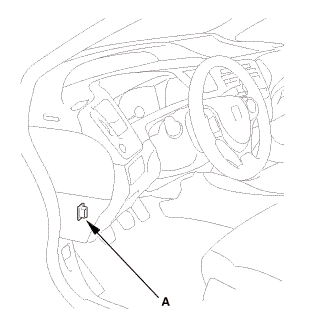 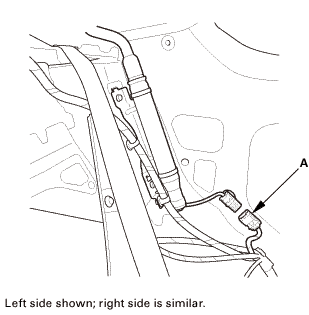 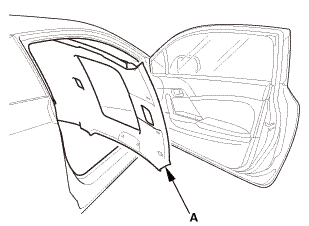 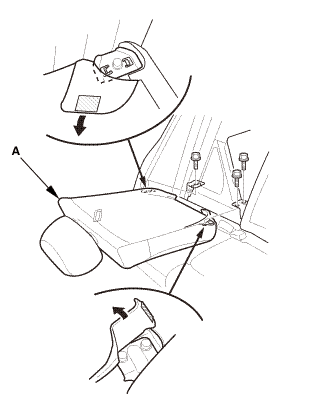 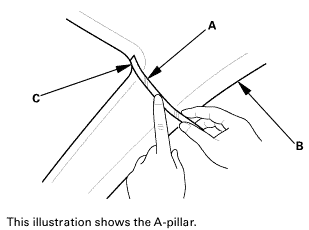 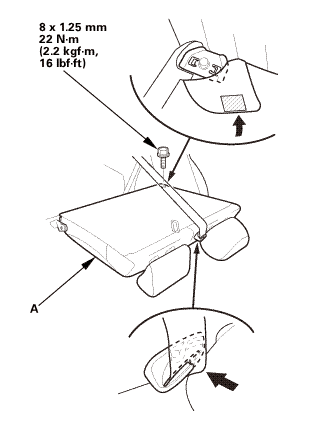 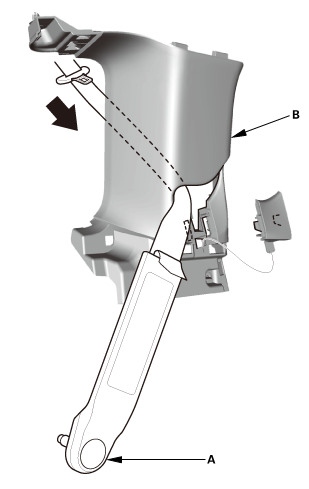 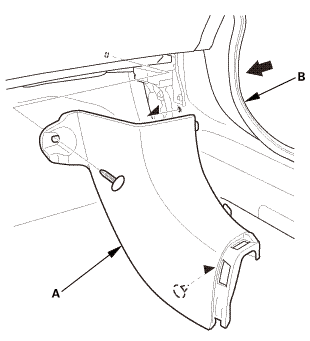 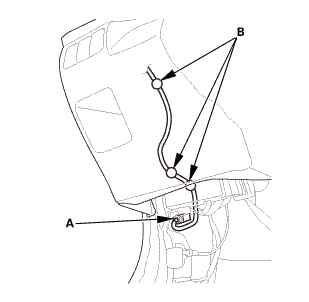 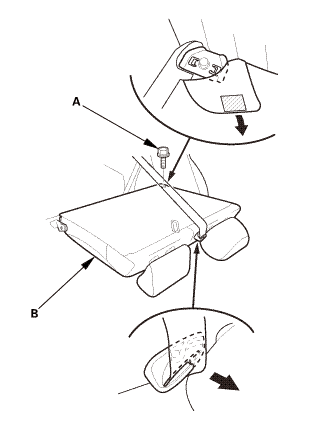 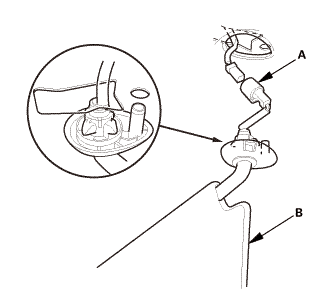 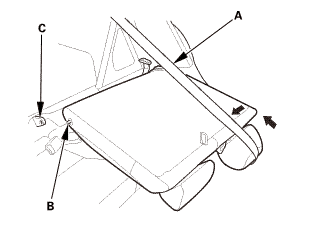 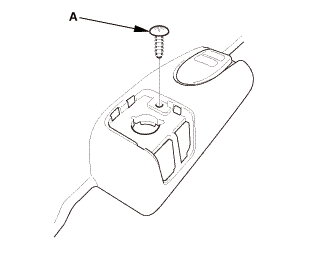 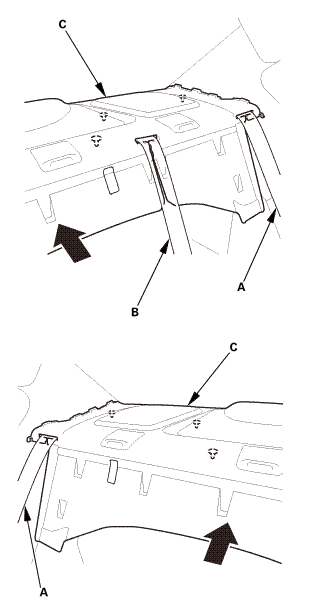 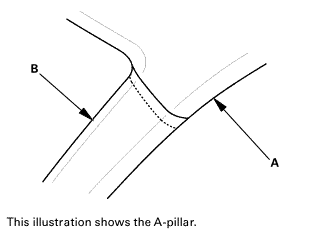 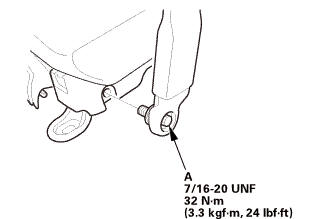 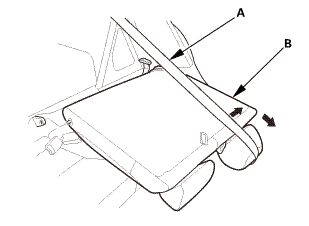 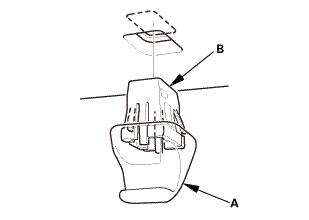 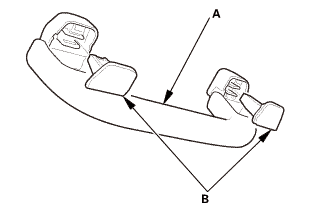 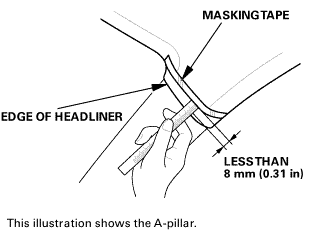 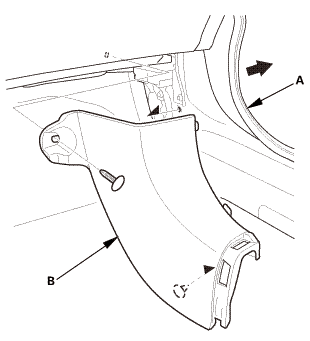 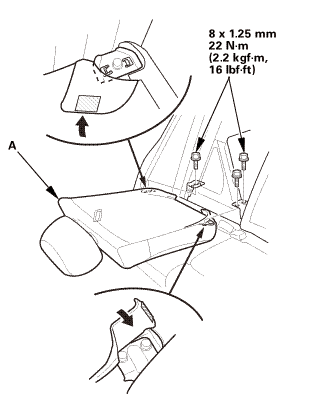 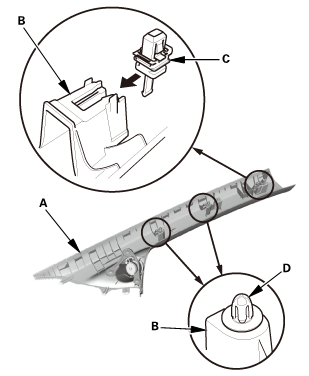 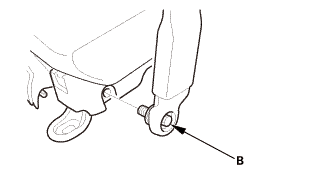 Install the side curtain airbag (A). 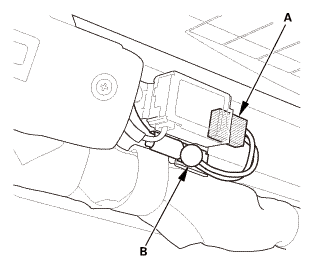 Connect the side curtain airbag inflator connector (A) on the floor wire harness.